Simi Valley Pool Repair is not your typical pool service company. We don't just clean pools, but offer all aspects of repair and maintenance to swimming pools in Simi as well as Thousand Oaks, Moorpark, Agoura Hills, Westlake Village, and Newbury Park. Having a clean, well maintained swimming pool is important. 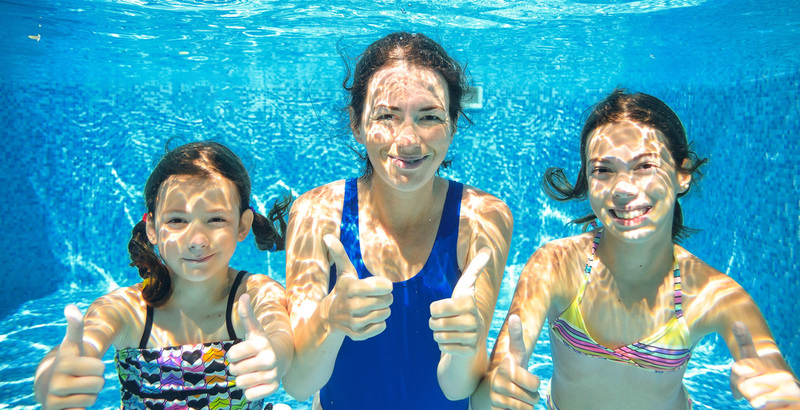 Owning a pool that's not well maintained not only can cause possible health issues for your friend and family swimmers, but it can be a real cost headache in the future. ​In addition, a poorly cared for pool can be downright embarrassing, because no one wants to swim in a nasty looking pool! We will be your pool doctor! 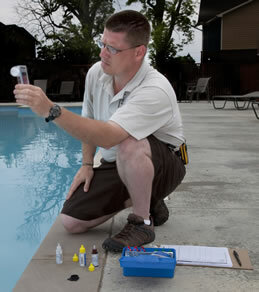 Our employees are pool experts and trained in all forms of swimming pool repair and maintenance. Below is a list of all of our pool repair and maintenance services. $200 Rebate On Replacement Pump Purchases! Your swimming pool pump employs an important role in keeping your pool water clean. Just like your heart must be healthy to pump the blood through your body, the pool pump is the engine of your pools circulation system. A bad pump will cause poor water circulation resulting in unclear water and other pool problems. Pool pumps run every day, and most models will last a long time, but it's not if they will ever fail, it's when. Pool pumps have plastic inner parts that are exposed to chemical and the sun's UV damage. Pool pumps also are subject to outside temperature fluctuations, and in the case of Southern California, extremely hot days. This also can takes it's toll on pumps. Debris, like leaves can clog the impeller in the pump. It could be in need of cleaning or just needs a thorough backwash. Other pump issues could be a malfunctioning control system relay or bad timer, resulting in poor power levels getting to your pump. If your pump is faulty, our technicians will find and fix the problem. In cases where the pump needs to be replaced, we will recommend some newer pump technologies like variable speed pumps that are more efficient in energy use and have longer lifetimes. ​​Variable speed pool pumps use just a fraction of the energy of your old pool pump. In addition to this, they run quieter and help to expand the life of your pool filtration system. And best of all, Socal Edison is currently offering a $200 rebate when you purchase a variable speed pump to replace the old one in your pool. On all new variable speed pool pump installs, we'll provide you with proof of purchase and exact easy to follow direction to take advantage of this rebate. Call us to schedule an appointment to diagnose your pump issues if you think it's failing. Your natural gas swimming pool heater is the most complex piece of equipment in your pool system. There are many different parts that can malfunction, making it difficult for the average homeowner to fix themselves. In addition, since gas heaters run on natural gas or liquid propane, exhaust sickness or combustion can be a dangerous risk to the inexperienced homeowner trying to repair their own pool heater. Has your swimming pool's heater stopped working correctly? Is it not lighting or not keeping your pool at the set temperature? If so, we can help. One of our technicians trained in heater repair will run detailed diagnostic testing to determine the cause of the problem. We will then recommend the best repair or replacement choices for you to get your swimming pool heater working properly again. Swimming pool leaks can occur from many different parts of your pool system. ​While the most prevalent area of leakage is in the pool plumbing lines, leaks can also be caused by a broken or deteriorated seal around the skimmer, light conduit, or even a crack or tear in the pool shell. If you're losing more than 1/4" per day of water from your pool, there probably is a leak somewhere. When our pool leak detection experts arrive at your home, they will pressure test the plumbing lines first to see if they hold pressure. If that test passes, we then will test different areas of the pool using a dye test where we think the suspected leak is. Our dye tests works for cement, vinyl, gunite, and Pebble-Tech pool finishes. Once we find the leak we will be able to give you an accurate quote on repair. The price range for leak repairs can have a large range. For instance, a leak underneath the pool and pool crack repair will be more costly to repair then a leak in exposed plumbing lines. As a top pool leak detection company in Simi Valley, we have found and repaired leaks in hundreds of pools. Our dedication and experience will ensure we do the best job for you at a fair price. We think you will find us to be the best pool cleaning service in Simi Valley, so please call us for a quote and give us a try. Ozone & UV pool disinfection systems will help to eliminate chlorine resistant bacteria's that can possible be found in your pool system. While UV and Ozone systems do not eliminate the need for chlorine, it does however act as a secondary disinfection system and enables you to use less chlorine and shocking chemicals in your pool. Less chemicals creates an overall healthier water environment for your swimmers. UV and Ozone systems are typically installed in line after your heater and can be fit into most existing poool systems. We install both UV and Ozone systems and perform repair and bulb replacement on existing units. Don't let hard water scaling on the tile above your pools water line ruin its beauty. Calcium carbonate mineral deposits can make even the most decadent pool look like a bad horror movie! In addition to the unsightliness of calcium scaling, it can damage important pool components as well as irritate the eyes of anyone swimming in your pool. While having a home water softener system or adding water softeners to your pools water can help reduce scaling, soft water can actually damage your pool by corroding metal components of your pool and filtration system. You can attempt to remove scale yourself, but it's a labor intensive job. Also, the chemicals you get a pool supply store to clean pool tile tend to be harsh. You need to be careful not to get these acids on your skin or in your eyes. You also should know that these chemicals will end up in your pool water, throwing off the PH balance of the water. You can also scratch your pool tile if you scrub to hard. So please realize that if you decide to do it yourself, you should take all these factors into consideration before deciding not to call a pool tile cleaning professional. ​Our service technicians use a delicate, but powerful glass bead blasting technique to thoroughly remove unsightly hard water stains from your pool tile. Glass beads will not damage the tile or it's glaze. Best of all, there is no need to drain your pool. The glass beads sink to the floor of your pool, and are easily picked up by your skimmer. Pool blasting is safer and quicker then using chemicals to remove hard water stains. Our professionals have years of experience with bead blasting. Please contact us if you would like an estimate on pool tile cleaning using our blasting process.